If Quentin Tarantino Ever Wants a Spaghetti Western Soundtrack Album, Look No Further. Just like London buses, you wait ages for one to come along; and lo and behold a shinier newer one arrives just behind the first one. 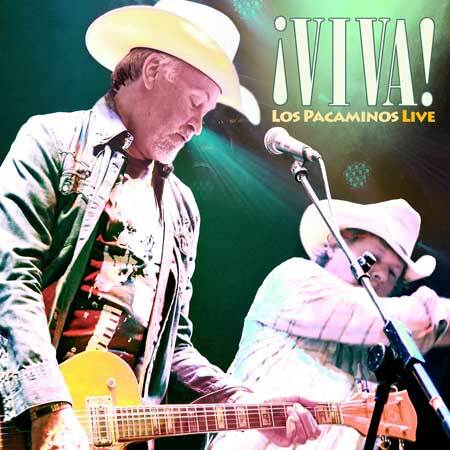 That’s what has happened here with Los Pacaminos’ first album being re-released only a few weeks ago; and now, here comes their ‘great lost’ 2015 album; repackaged with the addition of a few more wonderful new songs just waiting for your delectation. I need to start with the album cover; a tongue in cheek homage to Clint Eastwood and Sergio Leone’s spaghetti Western series of films only updated to appease ‘men of a certain age;’ and it not only made me snigger, but made me want to know what was inside, which is surely the whole point of album artwork? The album opens with a wonderfully atmospheric instrumental called Razorwire; which sounds a bit like the Shadows re-mixed by Ry Cooder…which is a very good thing indeedy. Arguably my favourite song, Jump Back Baby comes in next; and the Tex-Mex swing will have you hankering for a warm evening, sticky ribs on the BBQ and a pitcher full of margaritas. Doesn’t take long for the party to really warm up; and I defy even Chief Ironsides not to want to dance to Don’t Make Me Wait Señorita, Mi Chorizo est Loco and the smoochy Come a Little Bit Closer. Just like the best soundtracks; Los Pacaminos aint no one track pony; straddling the Mavericks style Mexicana with Buddy Holly and Roy Orbison ballads like the sweet Prairie Serenade and the mournful A Letter to You, where Paul Young really comes into his own. Other less well known; (unless you are in my inner circle) bands spring to mind too; I couldn’t help thinking of the Waco Brothers on the doleful and self-depreciating Battered and Boozed; and later it was the long-lost Balham Alligators with the beautiful Caballero, Our Favourite Things and even more so with Texas Adios. 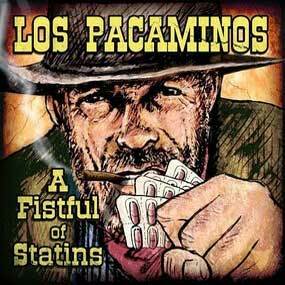 If you are a Los Pacaminos fan reading this and you haven’t heard of those two bands; I urge you do so immediately. Two songs in particular caught my attention; but for completely different reasons. Palabras is a rather lovely song sung in Spanish; featuring some exquisite guitar picking; but the tune…. hmmm…. of course! They have reinvented The Bee Gees Words as a Mariachi tune. Sheer Genius! The other is The Girl From Tennessee; a rather jaunty and fun, accordion led song; that owes a bit of a debt to Slaid Cleaves, and Texas Love Song. Don’t get me wrong; I love both songs equally, but what are the odds of two songs rhyming Texas with Solar Plexus? to the pleasure of my understanding neighbours. And it’s straight down the middle tex Mex, with accordions galore, a touch of Western Swing, and the still impressive vocals of Mr Young. With the band chock full of well-respected musos, it’s clear that this is something they really enjoy doing, rather than just being paid for it. Which probably explains the decade long gap between releases. Both albums have been expanded, with the debut gaining three tracks from an early EP, and “A Fistful Of Statins” gaining two brand new tracks and a cover of the Bee Gees ‘Words’. I’d missed all this first time around, but have had a real blast getting to grips with this. Don’t let it slide this time.